If you like slot machines, then you probably know the Bally name. This iconic brand has had a presence in the American casino and gaming industry since the 1930s. It provided the slot machine designs that changed the way people play, and the company had a hand in the historic spread of casinos across the United States. While Bally has had its ups and downs through several mergers and acquisitions, the brand survives to continue its mission of providing entertaining and innovative machines. It shouldn’t be surprising that Bally has a large catalog of slots available, given their time in the industry. These five favorites are a great place to start. Quick Hit Super Wheel Wild Red – This mouthful of a machine features 5 reels and 30 paylines along with a lot of features and bonuses. 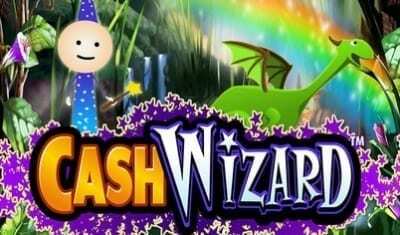 While the design is inspired by traditional slot machines, the gameplay is completely modern. Lucky players will get a chance to spin the Super Wheel to unlock instant winnings, multipliers, wilds or loaded free spins. There’s also a range of Quick Hit jackpots on the line for every spin. Triple Cash Wheel – Another machine that mixes a classic design with a lot of modern bells and whistles. This slot machine plays three separate games simultaneously for a total of 15 reels and 60 paylines. On top of the exciting base game, Triple Cash Wheel includes a big bonus game that lets players earn instant credits or free spins with big multipliers. 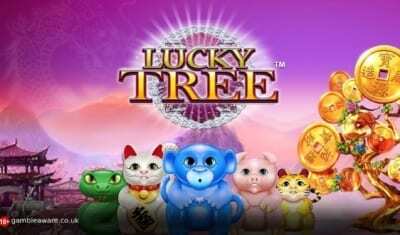 Lucky Tree – A fun Asian-themed 5-reel slot machine game with 30 paylines and several bonus rounds. The titular Lucky Tree adds a little excitement to each spin, with the potential for a breeze to send extra wild spaces tumbling down onto the reels. Lucky Tree also features a free spin bonus round and a special pick bonus round, which lets players turn over mystery tiles to try and create matching sets of animals for big bonuses. Acorn Pixie – A beautiful slot machine that brings an enchanted forest and its pixie inhabitants to life. The 5-reel machine with 30 paylines includes a touch of magic, which can flip losing spins around with a lucky 2×2 cluster wild that can appear to fill gaps. The bonus round is based around an extended version of the game, with 6 rows to fill and permanent wild spaces that branch out from the bottom to help fill out the reels with winning paylines. Players can choose to skip the basic spins and simply pay to play a number of free spins in the bonus round. Fu Dao Le – A very popular Asian-themed slot machine that features numerous ways to win. This 5-reel game doesn’t use traditional paylines, instead it allows any one of 243 potential left-to-right combinations to trigger a win. The game also includes 4 Red Envelope progressive jackpots that can be won with a lucky spin or through the Match-3 bonus game. There are also free spin bonus rounds, multipliers, stacked wilds and mystery spaces. Players interested in Bally games should be happy to hear that their interest in technological innovations extends to making many of their games available for play on mobile devices. This includes all of the top 5 picks listed above. While Bally does not have a dedicated slot game app, players should be able to find their slots listed on several different apps for iOS and Android phones. Free apps usually provide some free coins each day with an option to buy more for anyone who wants to play a longer session. Locations that allow players to bet real money on online slots should be able to find Bally machines on casino apps. In general, Bally online slot games should play well even on mobile devices. Their clean designs scale well with smaller screens and should be easy to read, although games that use expanded reels may get a little cramped during the bonus round. Certain features such as the U-Spin wheel may not be fully supported on mobile apps. Players may have to settle for just pushing a “spin” button instead of actually spinning the wheel. It should be a small price to pay for the convenience of playing these great games on-the-go or at home. Throughout the company’s history, Bally has been a leader in general slot machine innovation. Aside from their historic contributions, they continue to provide improvements such as larger screens in cabinets and faster software. These important technological developments have been accompanied by some fun gameplay innovations too. Following the merger with Alliance Gaming, Bally’s slot design shifted to focus on providing an engaging and fun experience along with the thrill of gambling. Its primary competitor, IGT, felt that gamblers didn’t want more complicated systems. This directly led to innovations such as their Thrillions system, a twist on classic linked progressive jackpots. Beginning with their classic Betty Boop, Popeye and Blondie themed machines, the rollout in 1999 put the focus on smaller jackpots that were triggered more frequently. Running off of the same philosophy, players will probably notice the common Quick Hit feature on Bally slot games. This non-progressive jackpot system provides a full range of payouts with frequent minor pots and rarer, proper jackpots for the big strikes. Bally hasn’t forgotten the joys of large community-linked payouts though. 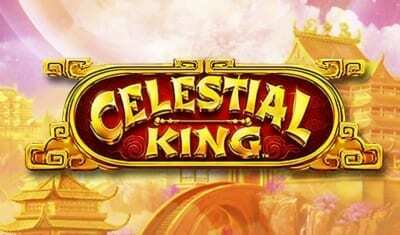 Players looking for larger more traditional progressive jackpots in modern machines can stick to the Red Envelope series, which includes fun games such as Fu Dao Le, Heavenly Riches and Super Rise of Ra. The U-Spin bonus game is probably Bally’s most visible success. Starting with the Cash Spin slot machine, this eye-catching innovation provided a thrilling change to the typical bonus round format. Lucky winners get to actually spin the digital wheel at the top of the machine for a chance to win large credit payouts, free games or even progressive jackpots. The real thrill comes from the built-in gesture control, which reacts to the speed and direction of the player’s swipe. The U-Spin wheel adds the fun of a game show to basic slots gameplay. In general, players will see that Bally’s attention is focused on providing interesting and exciting bonuses. Bally slots can include large, expanding reels that provide more ways to win, or even simple money bag bonuses that let players pick one of three mystery bags with the chance of a big payout. The introduction of the Buy A Bonus feature in the recently released Acorn Pixie machine clearly shows where future development is headed. The option for players to just pay for one last shot at the bonus round before they leave shows Bally’s commitment to a fun experience. The actual Bally company began not as a slot machine company, but as a pinball developer. Raymond Moloney founded the Bally Manufacturing Corporation in 1932 in Chicago. The name came from its first product, the Ballyhoo. The Ballyhoo pinball game was an early coin-operated piece that filled bars across America. In 1936, Bally used its experience and connections to expand into the growing gambling industry by creating the Bally Baby, a small mechanical slot machine. Bally would mostly cease production of gaming machines during World War II to provide manufacturing power for the war effort. This didn’t slow down their product development though, with their tall “Hi-Boy” model releasing after the end of the war in 1945. This iconic design, while very basic by modern standards, created a look that would inspire the one-armed bandit for decades. Raymond Moloney’s death in 1958 triggered a rough patch for the company, with Bally almost falling into bankruptcy before a buyout and revival in 1963. The revival was built upon the release of Money Honey, an innovative electromechanical slot machine. Featuring an electric hopper, the machine was able to handle larger and more complex payouts than purely mechanical machines. This raised expectations for slots and set up Bally as a market leader. By the end of the 1960s, it was estimated that Bally controlled nearly 90% of the worldwide slot machine market. The 1970s and 1980s would see Bally use its profits to grow into a large umbrella company. Bally built the Park Palace Casino and Hotel in Atlantic City in 1979 as its first foray into casino operation. Its electronics division attempted to enter the home video game market with the ill-fated Bally Professional Arcade. Their acquisition of Midway Manufacturing in the 1960s would bear fruit as it dominated the arcade and home video game markets through its distribution of hits like Pac-Man and Space Invaders. By the end of the 1980s, Bally owned the Six Flags chain, a set of health and fitness clubs and multiple casinos. This expansion proved to be draining. The Bally parent company would begin to separate and sell off its diverse divisions in the early 1990s to avoid financial hardship. The slot machine division, now a subsidiary branded as Bally Entertainment, would be acquired in 1996 by the Alliance Gaming Corporation. Founded in 1968, Alliance had its own long storied history. It began as Advanced Patent Technology, with a focus on developing new electronics and medical products. Starting in 1979, the company tried to enter the rapidly growing gambling industry by buying the United Coin Machine Company and developing the Colorado Belle casino near Las Vegas. 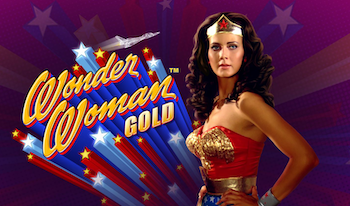 Its 1985 merger with Omega Gaming allowed it to enter the video slot market. The next decade would see more property development, several rebrandings and a few mergers until it settled as the Alliance Gaming Corporation in 1994. The merger with Bally Entertainment was a somewhat messy affair. Alliance Gaming hoped to compete for space against the dominant IGT in the newly developing riverboat and Native American casinos by joining with the still powerful Bally in 1993. Early negotiations failed though, as Bally Entertainment ultimately sought a merger with WMS Industries. After a few lawsuits and a hostile takeover attempt, Alliance Gaming won out in 1995 with the merger completing in 1996. Bally ultimately became a subsidiary called Bally Gaming and Systems. Following the merger, Bally grew and adapted to the changing markets by innovating gameplay. They focused on building more entertaining machines and providing powerful systems for casinos. In 2006, it would go through its final name change, with Alliance Gaming renaming themselves Bally Technologies. After 8 years, Bally Technologies would be bought out by Scientific Gaming in 2014. Scientific Gaming made its mark on the gaming industry with innovations in instant lottery games, including development of online lotteries and a mobile gaming app for retail lottery games. Somewhat poetically, this brought Bally under the same umbrella as WMS, which had been also bought by Scientific Gaming. The Bally legacy lives on today as a leading slot machine developer and brand within the Scientific Gaming powerhouse.